This Enessa coffee table will make the ideal addition to your modern home. 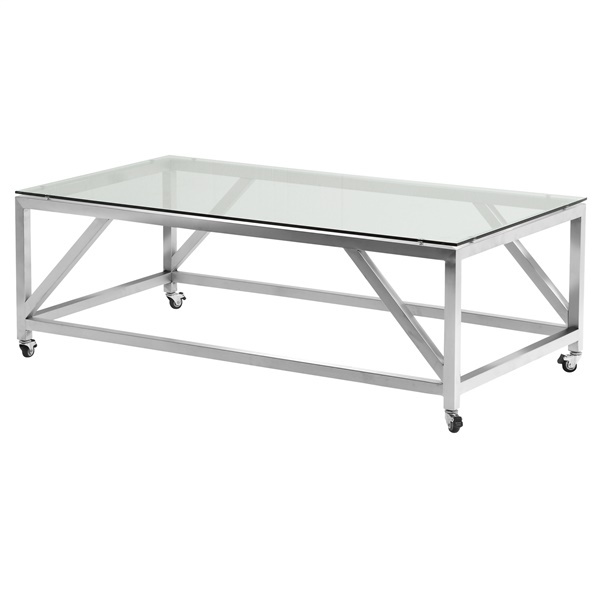 This gorgeous coffee table has a frame that’s brushed stainless-steel to give you a durable table that’s stylish at the same time. Even though it’s perfect for your living room it can be used in any of your home’s rooms. With casters on the table, it can easily move where you need it to go.